Long Island NY Home Inspection: Will It Find Mold? One of the many reasons for getting a Long Island NY home inspection on any property you’re considering is to help discover mold. 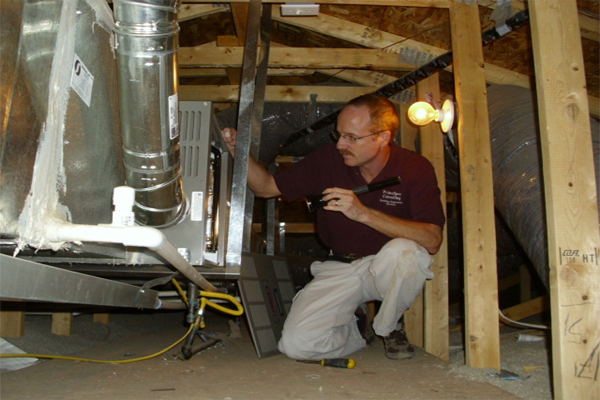 If you have a thorough home inspector who will carefully inspect attics, basements, and crawl spaces, he or she should notice any signs of real or potential mold. However, a Long Island NY home inspection will not include anything other than pointing out the potential for mold, or that mold is evident. If your Long Island NY home inspection indicates the presence of mold, you should discuss the mold problem with your inspector. Your inspector should be able to help you decide whether to invest further in a professional mold inspection or not. Professional mold inspections can, and do, vary in cost. These additional inspections could range from under $100 to several hundred dollars, depending on the size of the home, and whether the home has a basement or crawl space. Mold can trigger a lot of things related to your health, so it is advisable to get a second professional inspection if your Long Island NY home inspection reveals mold, or the possibility of mold. If you’re considering purchasing a property that has potential mold, or if mold has definitely been discovered, you may want to move on to the next house on your list. But if you’ve already purchased a home before you discover mold, there are some things you need to do immediately. Your Long Island NY home inspection report or your professional mold inspection report will tell you where the mold is located. A professional mold expert can tell you what steps to take to control and destroy the problem. The key issue is to stop the moisture problem causing the source of the mold. Mold is one of the biggest health issues affecting individuals in their home. So if your Long Island NY home inspection even hints that mold may be present, it might be wise to keep moving and not take on that burden, unless a professional can assure you that the problem is not severe and can be contained and eliminated. For more information on Long Island NY home inspection articles, visit our Long Island NY Home Inspection Category under our Long Island NY Real Estate Categories to the right. For more information on mold, visit the EPA website. Long Island NY home buyers usually make offers to buy a home contingent on inspecting the property to their satisfaction. A Long Island NY home inspection contingency gives buyers permission to inspect the property and can give the buyers the right to withdraw from the contract without penalty, depending on how the contract is written. For this reason, and to help sellers make accurate disclosures about their property, sellers often choose to have pre-sale inspection reports done before they put their home on the market. Minimally, they order a “wood-destroying pests and organisms” inspection (loosely referred to as a “termite” inspection) and a home inspection. If your Long Island NY home inspection recommends having an old roof inspected by a roofing contractor, it’s a good idea to follow through with this, and any other similar recommendation. Any pre-sale inspections should be made available to buyers to review before they make an offer. While some sellers ask why they should pay for a pre-sale inspection when buyers are going to pay for another one of their own, it is important for the buyer to know as much as possible about the home before they even get to the point of making an offer. A seller pre-sale inspection report can give the potential buyer the confidence they need to even make an offer. This results in an offer from educated buyers who are less likely to withdraw from the contract or renegotiate the price than they would be if they didn’t have pertinent information about the property condition before they made the offer. Long Island NY home inspection findings can be somewhat subjective. For example, one inspector may say a window can be repaired, while the other says it needs to be replaced. One solution would be for the sellers to credit the repair cost to the buyers at closing. The buyers can decide whether to repair the window or use the credit as partial payment for a new one. 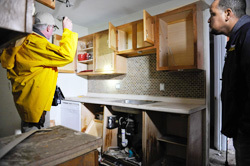 Bottom Line: Don’t let a Long Island NY home inspection kill your home sale unnecessarily.